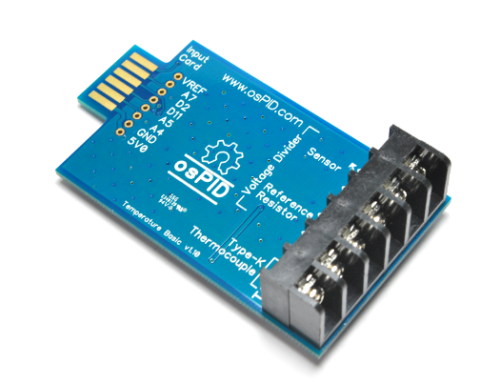 There is a bug in Version 1.2 of the temperature input card. We caught it and fixed it, but only after 22 units were shipped. The Temperature Basic Input Card v1.20 based on MAX31855KASA is missing a noise decoupling capacitor. 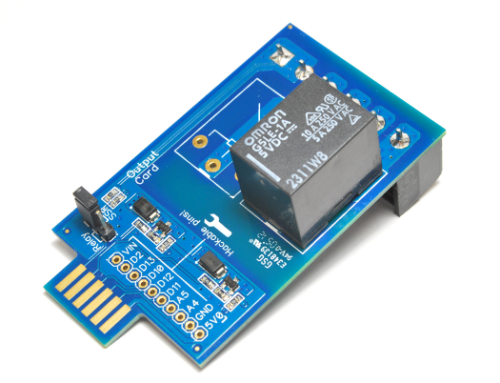 Without this capacitor, the thermocouple reading will be inaccurate and fluctuating. Unfortunately, all v1.20 boards shipped ”’on or before August 18, 2012”’ are missing this capacitor. As hardware bugs go, we got lucky. This is pretty easy to fix. 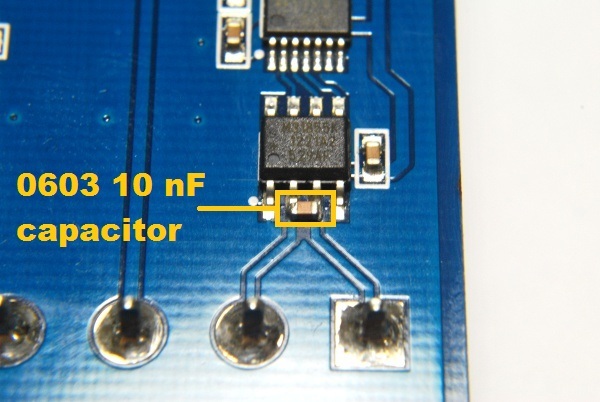 We just need to insert a 10 nF ceramic capacitor (preferably low ESR) across the T+ and T- pin of the MAX31855KASA IC. 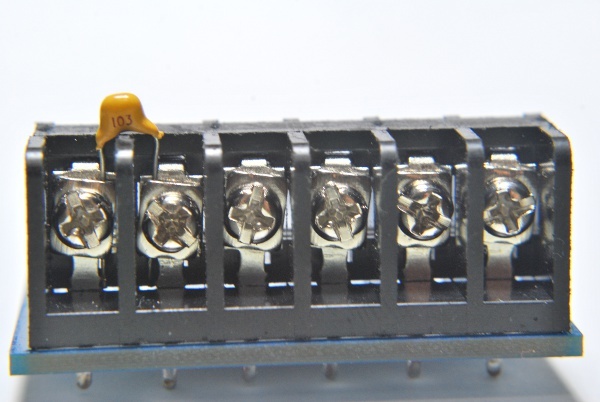 If the thermocouple leads that you are using is of similar size with the lead of the through hole ceramic capacitor, this is the simplest method to do it. 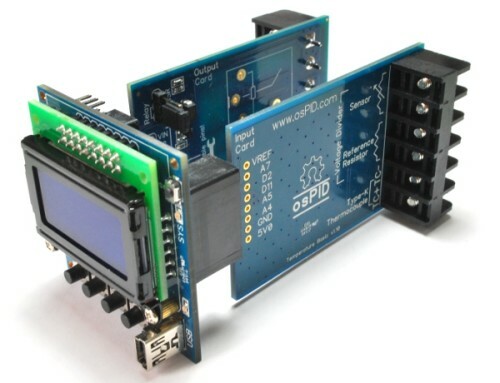 However, if your thermocouple leads size is thinner than the capacitor leads, it will be better to use one of the other methods as the thermocouple leads might be loosely connected to the terminal block. 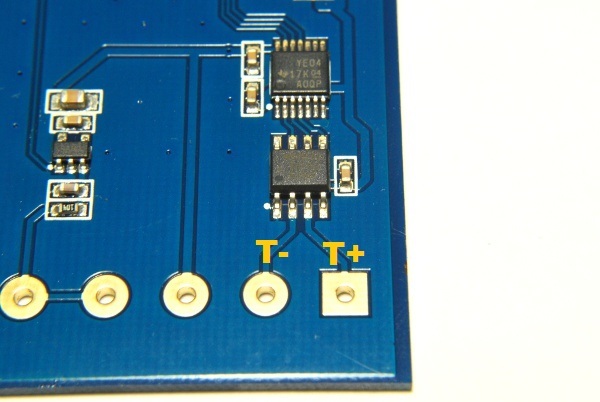 This method is better if you have access to a soldering iron and want the capacitor to be permanently fixed onto the board. You may need to trim the capacitor leads if they are too long. 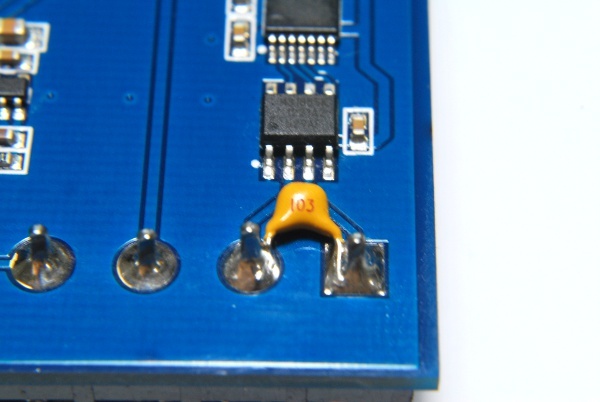 This method uses a small SMT (0603 in the picture) 10 nF X7R capacitor soldered onto the pads of the MAX31855KASA+ IC. This is the method we are using. (boards shipped ”’after August 18, 2012”’.) If you are more comfortable with other bigger SMT sizes like 1206, you can mount one of those between the terminal block pads instead.